Denver is the Mile High City, so called because it rests 5,280 feet above sea level, which is approximately one mile high. Makes sense. It is also affiliated ever so closely with the Rocky Mountains, which traverses from British Columbia to New Mexico. Denver is Colorado’s largest city, and also its capital, with an estimated 2014 population of 663,862 (21st largest US city) and a greater metropolitan area of 3,277,309 which makes it the 16th largest in the United States. Denver sits on the far eastern edge of the Rocky Mountain foothills, making it an ideal gateway to the mountain range. Denver is arguably one of the most majestic and picturesque cities in the country, and with that huge population a wonderful place to ship your car either to or from. Denver was named in November 1858 after a Kansas Governor, James Denver, by one of the town founders, General William Larimer, who was trying to ingratiate himself and the new town to a powerful figure in the Kansas Territory. Larimer wanted Governor Denver to make the new town the county seat. Very clever and it probably would have worked except by the time he heard about it, Governor Denver was out of office and powerless to do it. Didn’t matter though, because Denver was an ideal center of commerce in the booming gold rush days as miners, speculators, gamblers and more flocked to it. The same confluence of economic interests exist today which makes Denver a wonderful car shipping city. Back in the day, a fella or gal had to be tough to make a go of it in Denver. Today it retains much of that rugged can-do spirit. People in Denver tend to enjoy the outdoors. The Rocky Mountains are a giant playground, offering skiing in the winter; and in the summer hiking, climbing, camping and more. Sure it’s cooler in Denver because it’s a mile high, but it is most often sunny and very enjoyable. Auto transport carriers love approaching Denver on the road because the views are so spectacular. Denver is home to the NBA’s Denver Nuggets and NFL’s Denver Broncos. 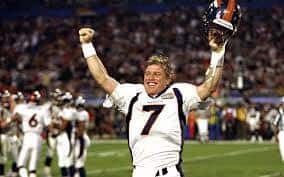 The latter most famously had arguably one of the greatest quarterbacks of all-time, John Elway, who won two Super Bowl Championships. Getting in and out of the Denver Mousetrap is relatively easy. Interstate 70 runs right through downtown Denver east to west. Interstate 25 spears Denver from the north (Wyoming side) and continues on toward Colorado Springs. I-225 encircles Aurora. I-76 enters from the northeast. I-270 and and State Route 470 ring Denver almost entirely. For an auto transport carrier, Denver is laid out beautifully. Direct Express Auto Transport considers Denver a major hub for car shipping. Use our original quote calculator to ship your car.